The National Registry of Certified Medical Examiners (National Registry) is a Federal program that establishes requirements for healthcare professionals that perform physical qualification examinations for truck and bus drivers. To become a certified medical examiner (ME) and be listed on the National Registry, healthcare professionals must complete training and testing on the Federal Motor Carrier Safety Administration's (FMCSA) physical qualifications standards and guidelines. The National Registry web site is accessible to carriers, drivers, enforcement officials, and the general public. What are the steps to becoming a certified medical examiner? 1) Register for the NRCME Training Online Program. Complete the online training program and print your certificate of completion. Click here to subscribe to the program. 2) Register on the National Registry of Certified Medical Examiners website located at https://nationalregistry.fmcsa.dot.gov/ and receive your National Registry Medical Examiner identification number. Check your email and spam mail for acknowledgement of your registration and further instructions from the FMCSA. The fee for the exam is $79. 4) Upon successfully passing the NRCME certification exam the provider will be notified by email from the FMCSA. 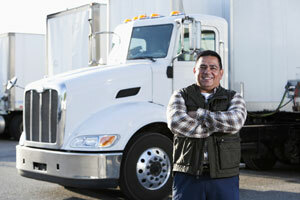 This will be the indication that the provider can begin conducting CDL/DOT medical certification exams. Please note that this process can take up to three weeks. The FMCSA may request the name of your training provider and accrediting agency. For training company enter: NRCME Training Online, LLC. For accrediting agency enter: CME Outfitters. FMCSA developed the National Registry of Certified Medical Examiners final rule as part of the agency's commitment to enhancing the medical oversight of interstate drivers, and preventing commercial vehicle-related crashes, injuries and fatalities. The final rule addresses four NTSB recommendations on a comprehensive medical oversight program for interstate drivers. FMCSA's current regulations require that all MEs be licensed, certified, and/or registered in accordance with applicable State laws and regulations to perform physical examinations. This includes but is not limited to doctors of medicine, doctors of osteopathy, physician assistants, advanced practice nurses, and doctors of chiropractic. Beginning May 21, 2014, all MEs who wish to conduct medical examinations for interstate CMV drivers must complete training about FMCSA's physical qualifications regulations and advisory criteria and pass a certification test to be listed on the National Registry of Certified Medical Examiners. All medical certificates issued on or after this date must be issued by examiners listed on the National Registry of Certified Medical Examiners. Go to the National Registry web site http://nrcme.fmcsa.dot.gov and read the information provided. For ongoing updates, register for the National Registry Listserv by selecting the link. ME Registration Date August 20, 2012 – MEs may register at the National Registry web site and receive their unique identification number that will be used to sign up for the mandatory testing. Visit the National Registry web site at http://nrcme.fmcsa.dot.gov and go to the training and testing section for more information. How will a ME know that a training provider's program meets all of the National Registry requirements? The ME candidate may visit the National Registry web site at http://nrcme.fmcsa.dot.gov to obtain the regulatory requirements for training, including the eight topics (the core curriculum) that must be covered by the training. The training organization must be accredited by a nationally-recognized medical profession accrediting organization that provides continuing medical education units and the training must include all of the topics outlined in the final rule. The training organization must provide training participants with proof of participation and FMCSA point-of-contact information. Although FMCSA posts contact information on the National Registry web site for training organizations that send it to the National Registry, FMCSA does not approve or endorse training providers or courses. The ME candidate is required to determine whether a training course meets the regulatory requirements. If an ME candidate does not pass the test can he/she take the test again? How long will the ME's Certification be valid? After an examiner is certified to be on the National Registry, the examiner must apply the qualifications standards consistently and uniformly during the examination of drivers. Each ME listed on the National Registry will also be required to complete and transmit to FMCSA once every calendar month the following information about each CMV driver examined during the previous month: name, date of birth, driver's license number and State, date of examination, an indication of the examination outcome (for example, medically qualified), whether intrastate driver only, and date of driver medical certification expiration. If the ME does not conduct any exams during any given month, he/she must submit that information. Data will be submitted electronically via a secure FMCSA National Registry web site.